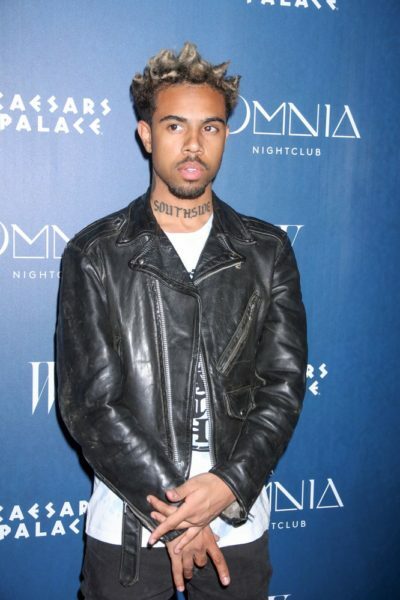 Place of Birth: Chicago, Illinois, U.S.
Vic Mensa is an American rapper. His father, Edward Mensah, is a university professor, who was born in Ghana. His mother, Betsy McGurk, works in the Public School system, and is a white American, of Irish, German, and English descent. Growing up half-white and half-black, there were times when I was younger when I just wished I could be one or the other. Never being fully accepted somewhere is hard… I’m still different, you know. I’ve never been 100% something that you could put in a box. I think that crosses into my music and my experience in the rap industry. Vic’s maternal grandfather was named Charles Ralph/K. McGurk. Vic’s maternal grandmother was Roberta Grace Eilenberger (the daughter of Charles F. Eilenberger and Olive Marian Rose Weibly). Charles was the son of John Robert Eilenberger and Harriet Alvana Davis. Olive was the daughter of Allen DeForest Rose and Florence Eloise Haskin. The obituary says son Charles K. McGurk of Ithaca, NY.